The fake flowers add needed colour to these relics of the households past. Like. aka: Bachelors' Buttons because bachelors used to wear them to make them identifiable when meeting their lover for the first time "under the clock on the High Street"! Nice one and cograts on POTW! Good going. Congratulations on your imaginative use of flowers, burlap and iron(s), and lighting them so well. Thank you, thank you all, I am very happy with this second POTW. 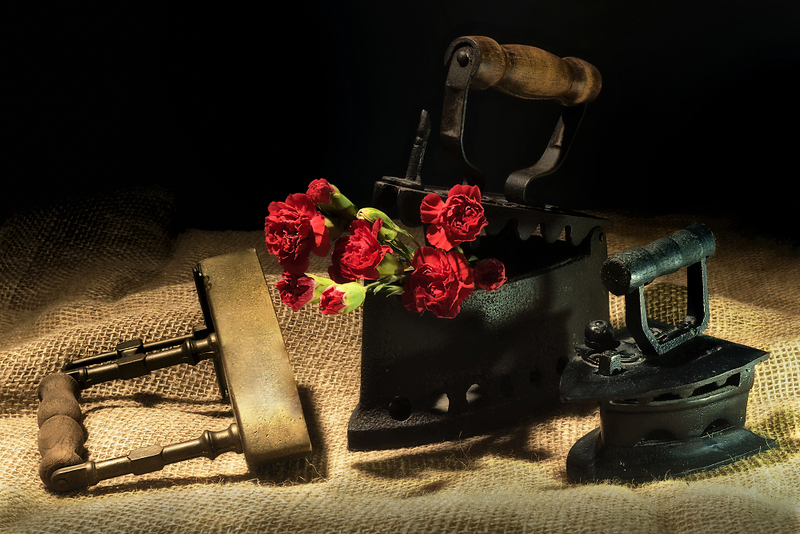 I really like still life and photograph objects of the past. I also love to photograph the flowers. Due to serious health problems I can not attend the forum very often and go out to take pictures. Thanks again. Congratulations.. Like the hessian base..